It has been said that change is the only constant, yet for something so pervasive change is a remarkably thorny and poorly understood concept. One reason is that change is often approached as a set of facts about a static state of affairs instead of as a literacy, which at change in a far more dynamic context that reflects human systems more accurately. To the rational mind, this makes sense. Like other cognitive rational models of change like the Health Belief Model, Theory of Reasoned Action and Planned Behaviour, and others, this model assumes change is linear, straightforward and planned for. While some changes are planned, many are not. In a review of the literature on smoking cessation, Robert West and colleagues found that more than half of smokers quit without going through these stages or having any quit plan in place. West and colleagues have since developed a model called the Behaviour Change Wheel that aims for a more nuanced, less prescriptive model for understanding change. The Wheel is a refreshing model within a sea of linear stage or stepped approaches, yet still is an approach that encourages behaviour change to be deconstructed into parts first, then assembled to a whole. Complex systems — like much of what humans create individually and socially — are highly resistant to having linear frameworks imposed on them. This is why many approaches to change fail to meet expectations. What if we stepped back and took a look at change a little differently. Language is among the most adaptive, dynamic, change-oriented system we engage with on any day thus, it might provide a model for considering change. If I am trying to explain something to you there are myriad ways to do it. By using my words in different combinations, with different tones and cadences, and add some visual thinking to the mix and I create a potent method for communication. Learning a language requires a lot of failure, many awkward phrases, and a complex array of trial and error, repetition, and luck we eventually learn how to communicate. Depending on the task at hand, we learn the language skill that matters. For someone looking to learn how to navigate a tourist area in another country, a set of basic phrases might suffice. For someone else, getting a technical job in a global organization might require a far deeper understanding of the language. In our efforts to change ourselves, our organizations and our communities we will find ourselves requiring different levels of skill and ‘good enough’ will look different from situation to situation depending on who we are talking with. Frequently, we are talking to different audiences at the same time to take the metaphor further. We learn languages much like designers apply design thinking. We scope out our intended purpose, craft a strategy, prototype, evaluate and redesign accordingly until we get something right. Over time we get enough feedback to understand deeper patterns that allow for more sophisticated experimentation. If the feedback quality is high, we learn faster and more deeply. Learning is by its very nature change. Language is applied learning; you can’t ‘theoretically’ learn a language — it’s useless without application. Language learning also requires attention to learning on multiple levels simultaneously. It involves small, moment-to-moment interactions, something I call ‘micro-feedback’. This is akin to mindfulness-based approaches to innovation. By establishing a sensitivity to the situation, creating the means to reflect often on what is happening while it is happening without judgement, we create the means to observe ourselves behave and make modifications as we go. It allows us to provide the kind of rapid prototyping of our learning as we go. It also requires macro-feedback mechanisms that focus on the bigger picture. Language is not just about words and sentences, but a larger way of phrasing that separates being ‘well spoke’ for just ‘speaking well’. If change is a constant, viewing change as a persistent, ongoing process changes the way we look at it. By looking at change as a core feature of a complex system — one that brings together linear and non-linear elements, is constantly evolving, and involves random, planned and hybrid elements – we can see change in a manner that fits with complexity, rather than works against it. Just as our language develops over time, so does the way we change. Viewing change as something that parallels the way we approach language might just be truer to the way we really change the way we want change to happen. Bridle, C., Riemsma, R. P., Pattenden, J., Sowden, A. J., Mather, L., Watt, I. S., & Walker, A. (2005). Systematic review of the effectiveness of health behavior interventions based on the transtheoretical model. Psychology & Health, 20(3), 283–301. West, R. (2005). Time for a change: putting the Transtheoretical (Stages of Change) Model to rest. Addiction, 100(8), 1036–9. * The argument for completeness of information is based on the often flawed assumption that we know what is missing from an informational context and how it fits with the other data we have before us. 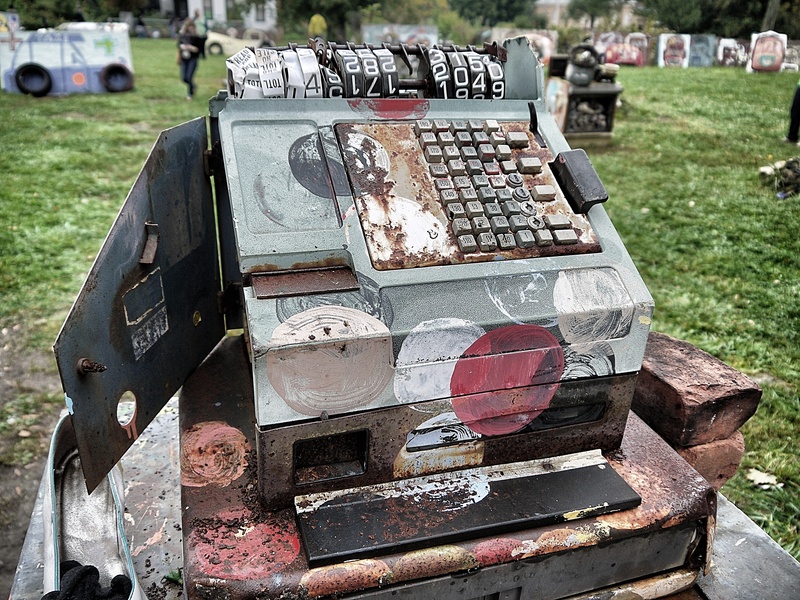 Photo taken at the Heidelberg Project in Detroit, MI by Cameron Norman. Original art by Tyree Guyton.